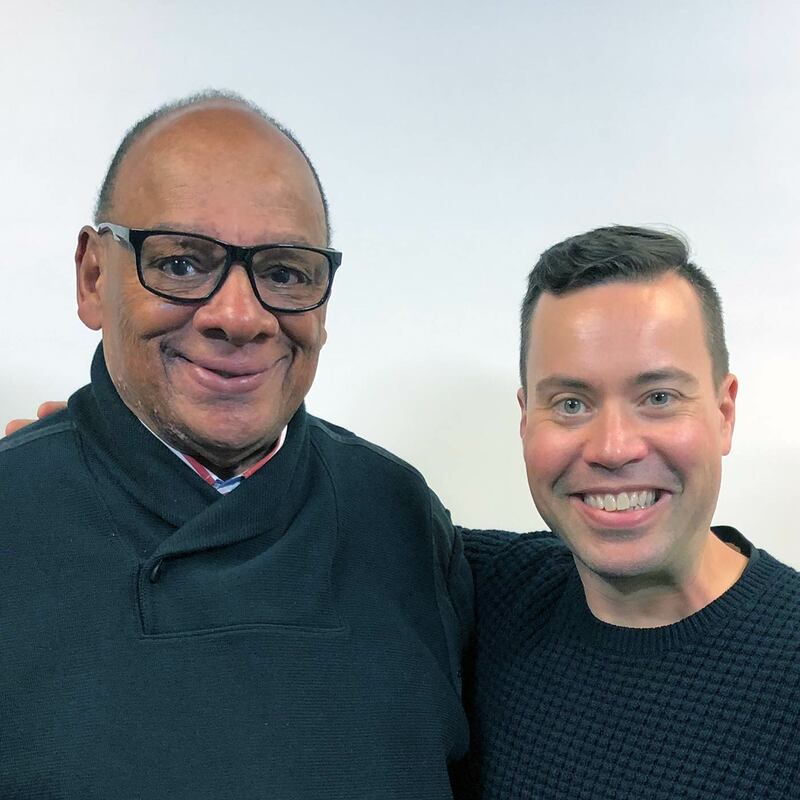 Coach George Raveling (@GeorgeRaveling) is a pioneer in transcending the intersections of sports, culture, race, and business. He is also the author of War On The Boards: A Rebounding Manual. George’s process for planning every day with intentionality and strategy. Why, even at age 80, George reinvents himself every five years. The best place to start with disruption. What sets apart great athletes and other high performers from the rest of the crowd. George’s three fundamental responsibilities: to coach attitude, behavior, and performance. When you build your social capital without the expectation of getting something in return, it tends to pay dividends in countless, unexpected ways. And when you live 80 years influencing, mentoring, coaching, and teaching others who go on — in some cases — to legendary greatness, the gold value of those dividends could easily overflow the coffers of Fort Knox. Our guest is George H. Raveling, known affectionately by some of the world’s best and brightest as “Coach.” He’s an avid reader and passionate life learner who plans every day with intentionality and strategy, understands what sets great athletes and other high performers apart from the rest of the crowd, lives by three fundamentals of attitude, behavior, and performance, and, at age 80, still reinvents himself every five years. Oh, and add the prowess of his social capital to the value of the unique piece of American history he happens to own and he might very well be one of the richest men alive. Listen, learn, and enjoy! With the death of his father and the institutionalization of his mother at an early age, it would seem Nike’s global basketball sports marketing director Coach George Raveling got an unlucky start in life. But a supportive grandmother and the discipline of Catholic school made academics his chief focus and the pathway to later success as a college basketball player, coach, and sports commentator. George considers himself more of an educator than a coach. He always worked to teach those he coached not just how to excel in sports, but how to win in the game of life. In fact, when he would recruit, he would tell potential players that if the the only thing they learned in four years at college was to play defense, make jump shots, and win basketball games, they could go anywhere in the country for that. If they came to partner up for four years, it was more than simply winning and losing to George. He felt he had a greater responsibility to young people. George has worked with thousands of elite athletes over the years, and if they have anything in common, it’s the drive to be better in some way each day than they were the day before. Though he technically retired from coaching after a particularly terrible car accident in 1994, George still takes time to mentor young people as a way to give back for the life lessons that got him to where he is today. “I try as hard as I can to be a servant leader,” says George. In working with so many who revere George as “Coach,” he found that if you can manage a person’s attitude, then you can manage their behavior and performance. All throughout his 80 years, George has been greatly influenced by people from all fields and walks of life. He understands how the power of just one motivated individual in the right place and time can change the course of history. Two examples: President Harry S. Truman making the hard choice to use atomic weapons and bring an end to World War II, and Dr. Martin Luther King Jr. delivering his famous 1963 “I have a dream” speech in Washington, DC, which inspired hundreds of thousands of civil rights activists to keep fighting the good fight. George had the incredible fortune to meet both of these historic figures — and the even better fortune of being close enough to ask Dr. King for his copy of that famous speech at its conclusion. He still has it — after tucking it away for 30 years in an autographed copy of a book by, coincidentally enough, Harry S. Truman. “To me, both of those people were visionaries, they were courageous leaders, they were willing to take society from where it was to where it should be in the future,” says George. Listen to this episode in its entirety to learn more about why George has always rejected status symbols as a way to define success, why basketball became George’s sport of choice, where George believes is the best place to start disruption, the importance of trust and respect between a mentor (such as a coach) and a mentee, how George breaks the way his mentees label themselves so they can grow into any role on their own terms, why Michael Jordan refused to let a 12-year-old beat him at basketball, what it was like to meet President Truman, the serendipity that led to George’s possession of Dr. Martin Luther King Jr.’s “I have a dream” speech, and much more. Click here to thank George Raveling at Twitter!